Taking place from 31st August – 3rd September 2017 in Florence, Italy, The New Generation Festival is set to bring the finest, young music talent to a world stage. Set in the Corsini Gardens in the heart of Florence, The New Generation Festival will be a heady weekend of spectacular opera, captivating orchestral performances and intimate live shows, set against a stunning backdrop of Italian dolce vita, fine food and wine, and beautiful surroundings. Conceived to attract all kinds of music lovers and inspire young, new audiences, The New Generation Festival will be an enchanting Florentine weekend offering opera’s ageless magic and romance to everyone. With reduced ticket deals for under-30s and a diverse range of performers that sees drag acts and jazz bands perform on the same bill as full, symphony orchestras and opera singers, The New Generation Festival aims to open Classical music up to a wider audience, making it more accessible and effectively bridging the gap between musical genres. Co-founded by the rising conductor, Maximilian Fane, and international producers Granville & Parham, the diverse and young team behind the festival has gathered together some of the world’s most exciting music stars and promising new talent. One of today’s foremost violinists, Charlie Siem has been appointed as artistic director and will perform throughout the weekend, while rising soprano star, Anush Hovhannisyan will take a lead operatic role alongside impressive, young tenor Khanyiso Gwenxane in a new production of Gaetano Donizetti’s L’elisir d’amore. Celebrated designer known for his work in film and fashion, Michael Howells will be in charge of costumes and set design. Throughout the weekend, audiences will don their finery and be treated to outstanding Opera and Orchestral works. Gaetano Donizetti’s comic opera, L’elisir d’amore will inaugurate the festival on the Opening Gala evening of 31st August, followed by a second performance on 2nd September. Friday 1st September will be a day of orchestral performances, with a bill featuring much-loved classics including The Barber of Seville Overture by Gioachino Rossini, Max Bruch’s Violin Concerto No.1 in G Minor Op.26 , performed by Charlie Siem, and a breath-taking performance of Ludwig van Beethoven’s Symphony no.5 in C minor, under the baton of Maximilian Fane and his New Generation Festival Orchestra. Between each performance, guests will be invited to explore the scented tranquillity of the Corsini Gardens and indulge all of their senses. Luxury hampers laden with artisan Florentine specialities and the exclusive Principe Corsini ‘Elisir d’amore’ wine will be available to buy alongside Champagne, drinks and snacks at The Limonaia Bar set up in the gardens, while picnic furniture will be distributed throughout to allow guests to soak up the Italian sunshine. For those guests looking to continue the revelry, there will be a series of exclusive concerts, intimate performances and hidden parties, culminating in a midnight concert held in a secret location. 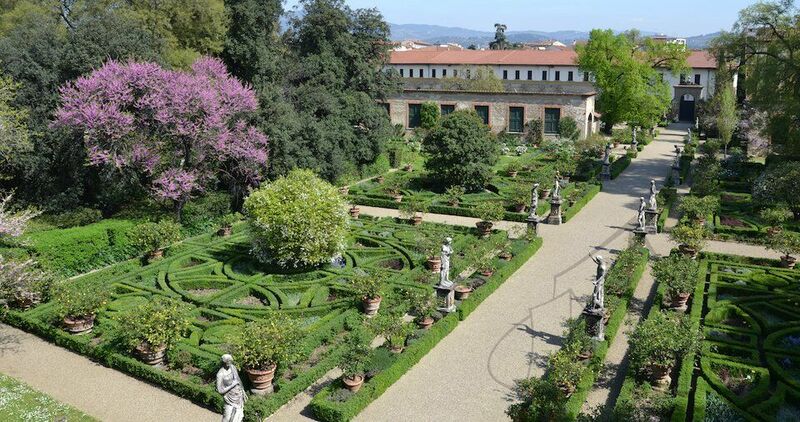 Concealed behind the façade of the Prato di Ognissanti’s famous Palazzo Corsini is one of Florence’s finest gardens. Originally designed in 1591, the scenic gardens were brought to life with water fountains, sumptuous rows of cedars and the celebrated ‘statues of the four seasons’ that stand today on either end of the Santa Trinita bridge. Upon entering the gardens and walking among the lemon orchards, wooded groves and ornamental cherry trees, guests will feel as though the noisy city beyond the gates has simply disappeared. The New Generation Festival offers a unique opportunity to experience Florence like never before, surrounded by exquisite music in one of the finest, private renaissance parks rarely opened to the public.